Lions, and Tigers, and…. Joustin’ Beavers? 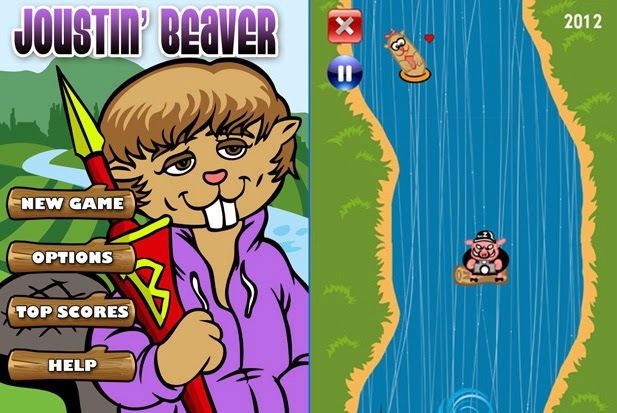 Florida based game developer RC3 created a game, Joustin’ Beaver, in which a beaver that jousts must navigate the whirlpool of success, sign otter-graphs, and avoid the phot-hogs. Justin Bieber’s representatives did not appreciate the similarities in both name and appearance between the title character and Bieber and, in early February 2012, sent RC3 a cease and desist letter threatening legal action for the use of Bieber’s likeness in game. In response, on February 24, 2012, RC3 filed suit, seeking declaratory judgment that their game was not infringing. Finding lack of jurisdiction, as Bieber was not domiciled in the state of Florida and the suit was not influenced by Bieber’s actions within the state, the suit was dismissed on September 17, 2012.